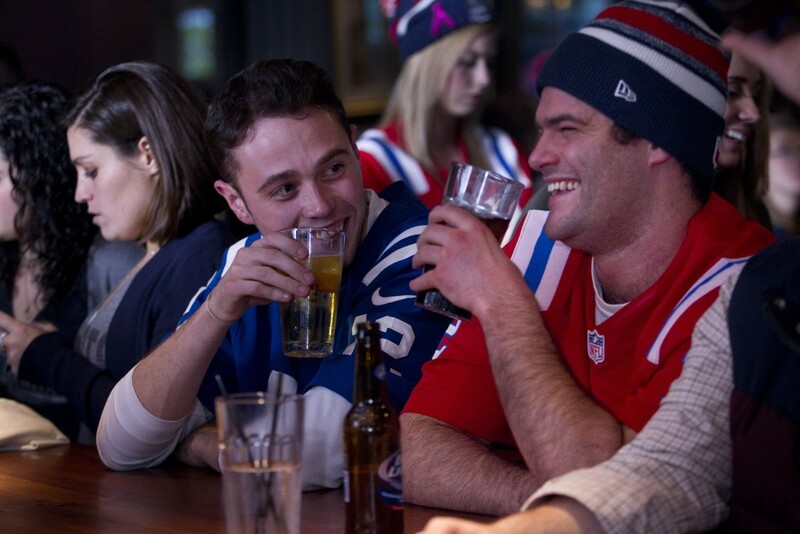 According to recently-released data from mobile breathalyzer manufacturer BACtrack, New England Patriots fans are relatively low on the list of drunkest NFL fans in the country. A press release from the company’s website states that data was collected “anonymously from users of the BACtrack app, which syncs with BACtrack Mobile and BACtrack Vio smartphone breathalyzers.” Translation: People breathed into a portable, personal breathalyzer and their BAC was sent to their smartphone, where BACtrack was able to trace the intoxication patterns among sports fans who used their product. 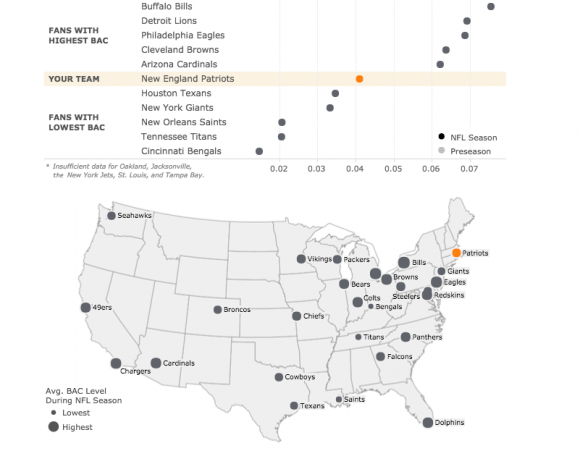 BACtrack calculated the average intoxication of football fans during both preseason and the NFL 2015 season, looking at fans’ collective mean blood alcohol content on game days. Patriots fans’ average BAC was .056 during preseason and .041 during regular season, making them the 13th and 18th drunkest fans in the country, respectively. To be fair, these numbers might be different if the BAC of people not using BACtrack were factored in. But since Bud Light is $12 at Gillette, it’s not hard to imagine that Pats fans stay relatively sober. Who were the absolute drunkest football lovers? Buffalo Bills fans during preseason, with an average BAC of .075, and Indianapolis Colts fans during regular season, also with an average of .075. The tamest sports fans in the U.S. are Cincinnati Bengals followers, who had a collective mean BAC of .022 in preseason and .015 in regular season. So responsible. To read more about BACtrack and better understand the drinking habits of rival teams’ fans, click here.